Malta has long been on my wish list, and I’m so thankful our cruise itinerary included the fabled island, standing like a fortified rock between Sicily and Africa. With the help of the wonderful Malta guide Amy Pace (pacee@vol.net.mt), my TV crew and I blitzed the island and produced a great little video. In fact, it turned out to be too good to cut down and add to our Greek Isles episode, as I had originally expected to do. 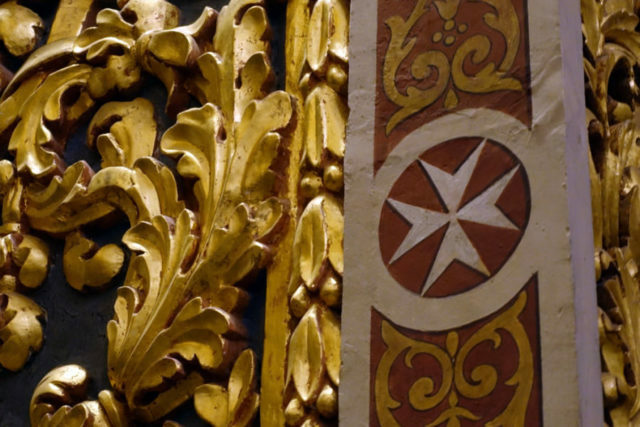 So, now I have a strong mini-show about Malta — and the challenge of finding a good way to share it. [1, Malta] We’re leaving the Ionian Sea and sailing past southern Italy and Sicily to our final stop: Malta. The captain advised being up early to enjoy the entry to the Grand Harbour of Malta — the historic heart of the island serving three cities, including the capital city of Valletta. Clearly, this port was well-worth some serious fortifications. We’ll have a busy day to explore it. Our ship just squeezes into its spot and, in moments, we’re in the old center of town. [3, OC] Malta is a tiny independent county set midway between Sicily and Africa. With a culture enriched by a long parade of civilizations, it’s a strategically placed island nation with an extraordinary history. The grid plan of streets was laid out with the first fortress. After the Turkish threat passed, the city was ornamented with delightful architecture, including characteristic enclosed balconies (called “gallarija” here). Massive fortress walls incorporate existing limestone cliffs. Of the many cultures that shaped it, perhaps most obvious is the 150 years Malta was part of the British Empire. In World War II, it was a key Allied naval base and, as it suffered horrible bomb damage by German planes, much of it has been rebuilt in recent years. 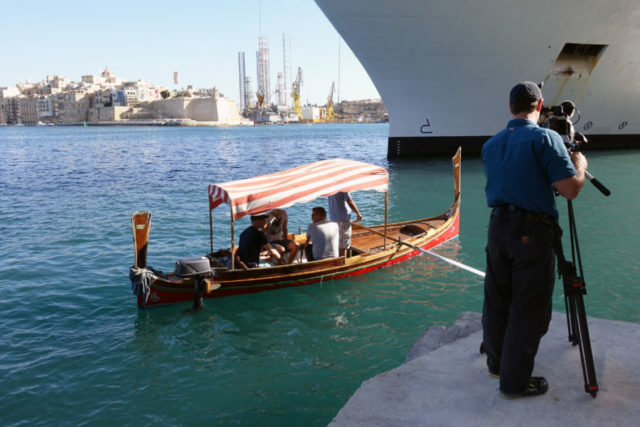 The mighty harbor survived and you can tour it in a little boat called a “dgħajsa” (a Maltese gondola). The navy is gone, replaced by tourism. Here, a cruise ship dwarfs my dgħajsa. The city of Vittoriosa is just across the bay, or you can just hang out with the local gang, fishing. The Upper Barrakka Gardens offer commanding views. While it gained its independence in 1964, the island retains its British flavor: English-style pubs and food, statues of queens, and red phone booths. While the official language is a Semitic language called Maltese, English is virtually universally understood. Valletta’s stately Grandmaster’s Palace is a reminder that most of the stonework in this stony city dates to the era called the Knights’ Period — 1530 to 1798. After being beaten by the Ottoman Turks in Rhodes, the Knights of Malta (also known as the Order of St. John) retreated here in 1530 and built a huge fortress in anticipation of a Turkish attack. And in 1565, the stout walls survived a siege of 40,000 Ottoman invaders. Like much of Valletta, St. John’s Cathedral dates from the Knights’ Period. While austere outside, it is fabulously Baroque inside. Inlaid marble slabs honor several hundred Knights of Malta — each listing that aristocratic knight’s accomplishments. The Order of St. John was represented by eight countries — and each had a chapel here at the Order’s high church. 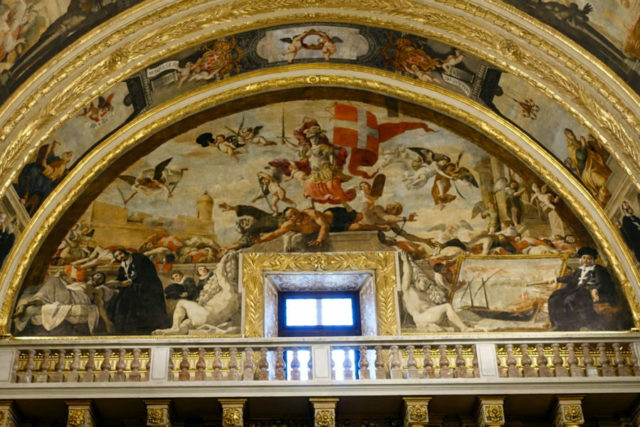 Paintings tell the story, illustrating how the Knights were “servant knights” whose mission was to care for pilgrims venturing to the Holy Land, how they evolved into a maritime power with a mighty navy, and how Christianity ultimately would triumph over the Muslims. A highlight is the largest canvas ever painted by Caravaggio, The Beheading of St. John the Baptist. He gifted the cathedral with this in 1608. You’ll notice his signature mastery of the play of light. The knights wore the iconic Maltese cross on their chest on a black robe — it represented the four cardinal virtues and its points the eight Beatitudes as well as the eight countries making up the multinational order. 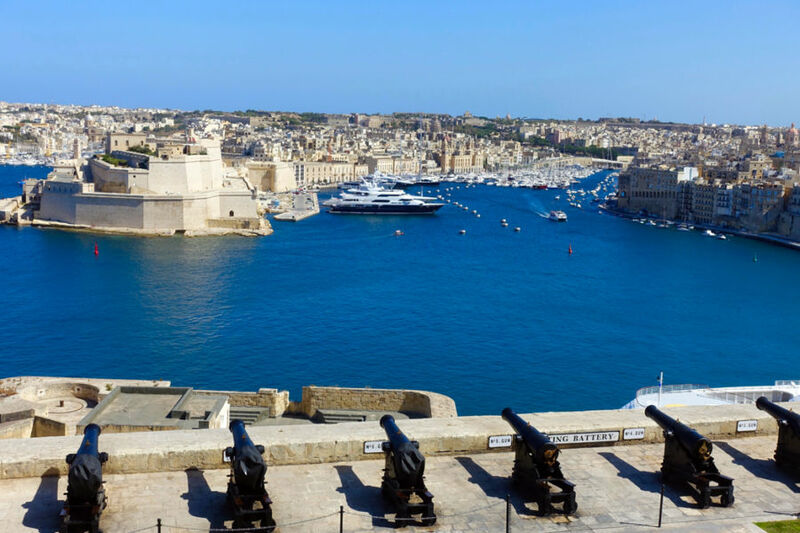 Within a short drive from the main city are plenty of Malta sights, from charming towns with oversized churches (towering over locals who seem oblivious to the crush of cruise tourists) to tiny and remote harbors and a dramatic and rugged coastline. Local boaters take tourists to numerous nooks and crannies…including blue, blue grottos. The land, which can seem timeless, is dotted with prehistoric ruins dating back 5,000 years. Megalithic sites like Ħaġar Qim are evidence that, in roughly 3000 BC, settlers from Sicily arrived in search of arable land. While the humble, mud-brick village that once surrounded this temple is long gone, stones from the temple still stand. 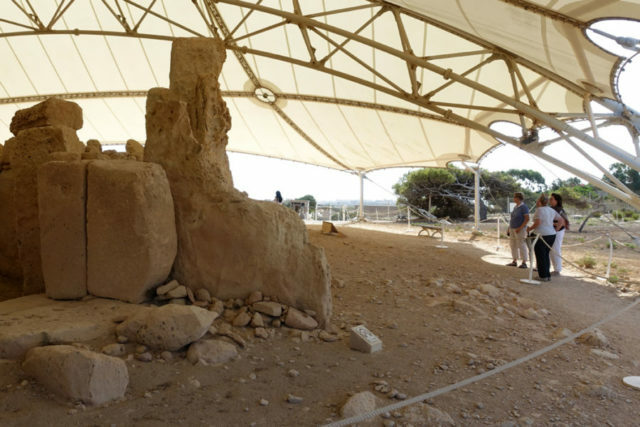 Archaeologists believe this was a temple to a fertility goddess that functioned as a celestial calendar. Malta — with plenty of small family farms — has been terraced since ancient times. Rock walls defend against erosion: The thin layer of topsoil is exposed to the steady Mediterranean breeze. It feels burned off — locals are nostalgic about the days, just a few years ago, when it used to rain. 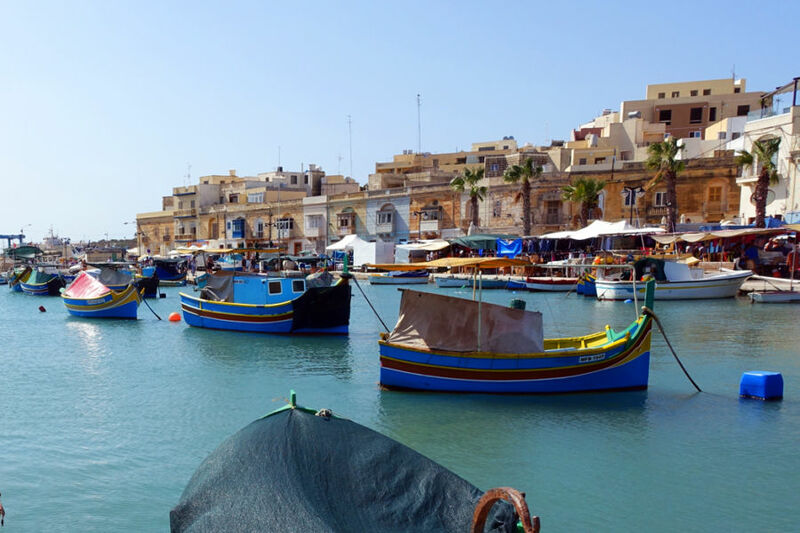 The fisherman’s harbor of Marsaxlokk, a favorite with visitors, is home to a vast fleet of typically Maltese fishing boats. While Marsaxlokk has a fine main square and church, the action is along the harbor — especially on a Sunday, when it’s all about fish. Tradition says that the shape of the boats goes back eight centuries before Christ to when Malta was a Phoenician colony, and the colors indicate the fisherman’s home village. Marsaxlokk must be blue. [OC] Thanks for joining us. I hope you enjoyed our look at fascinating Malta. I’m Rick Steves. Until next time, keep on travelin’!